With China’s efforts to improve efficiency of its supply chains into Europe and expand its economy, the recently planned Silk Road project aspires to link Europe via the Indian Ocean and the Suez Canal. One major factor contributing to Greece’s recession since 2010 has been the drop in international investment. Multinational companies with holdings in Greece put new projects on hold, and foreign direct investment came to a halt. Among the few positive developments was a major investment from China Ocean Shipping Company, COSCO Pacific, in Piraeus, Greece’s largest port. In 2008, COSCO, reached a €4.3 billion deal with the government of Kostas Karamanlis giving the Chinese the right to operate the second terminal of the Piraeus Port Authority (PPA), as well to rebuild and operate an unused third terminal, for a period of 35 years. Since 2010, when COSCO began operating in Piraeus, it has increased the number of shipping containers passing through Athens every year. 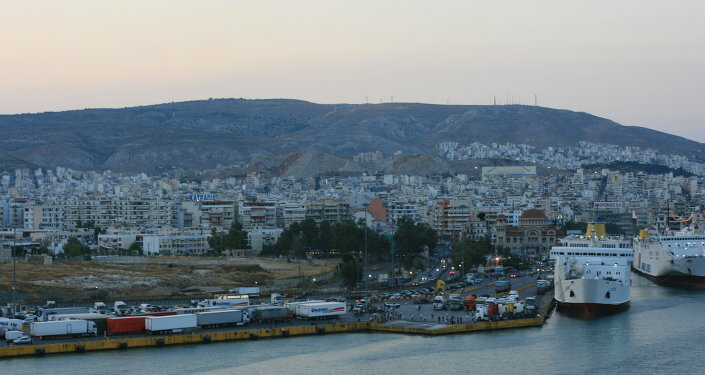 Chinese investments in Piraeus may be one of the few things that can help Greece’s economy, but since Syriza’s government took office in late January, such investments are being delayed. “My assessment is that there can be a strategic development partnership with China,” Yannis Dragasakis, deputy prime minister and a key representative of the moderate wing of Syriza, told Politico. The problem is that Greece is no longer “accelerating privatization.” Since the Syriza-led government took office in late January, there have been a number of contradictory statements by ministers on the outcome of the privatization process. Dragasakis spoke about the privatization saying that Greece wants joint ventures between the state and the private sector, but does not want to just sell government’s stake in a company, although management control can be placed in some cases in the hands of the private investor. The absence of long-term strategy, a recurrent bane of Greek policymaking, has meant that a great deal of potential has been wasted. China’s presence in Piraeus is making that waste more visible in three sectors in particular: rail transport, logistics and ship repair. China is expecting Syriza’s government to make up its mind on the key issues of attracting investments soon, as China has other alternatives for the Silk Road initiative.